Introduced in Japan over 1,300 years ago, woodblock printing remains prevalent in today's art scene. 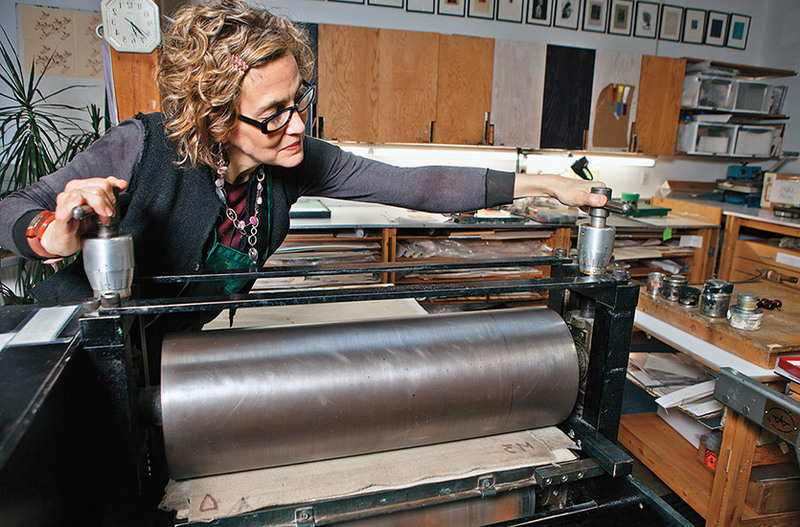 ROLLING WITH IT: Barb Snyder demonstrates the use of a press in a Dundarave Print Workshop. 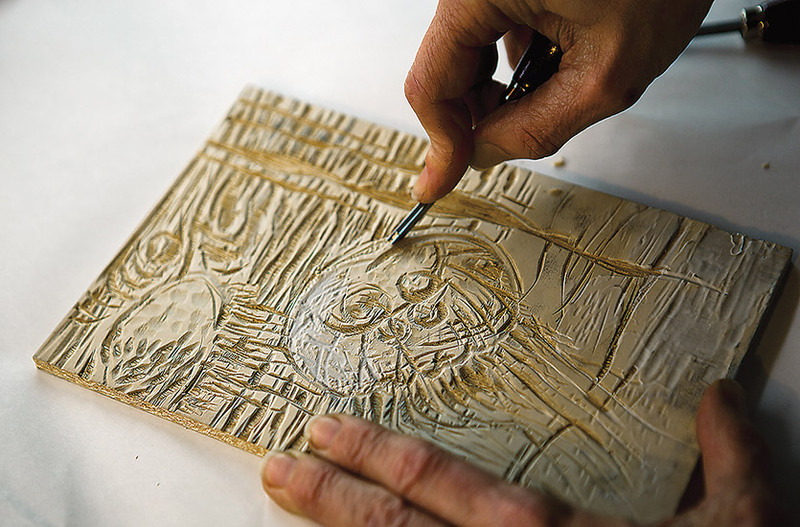 Woodblock printing was first introduced in Japan during the 8th century. It was generally used to print religious texts that were brought from China to Japan by travelling Buddhists. 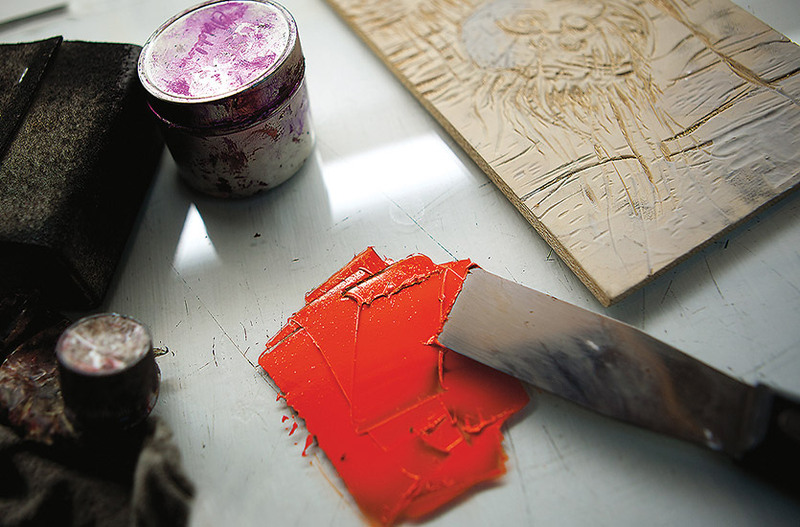 For nearly 900 years, woodblock printing was only done using a single colour of ink. 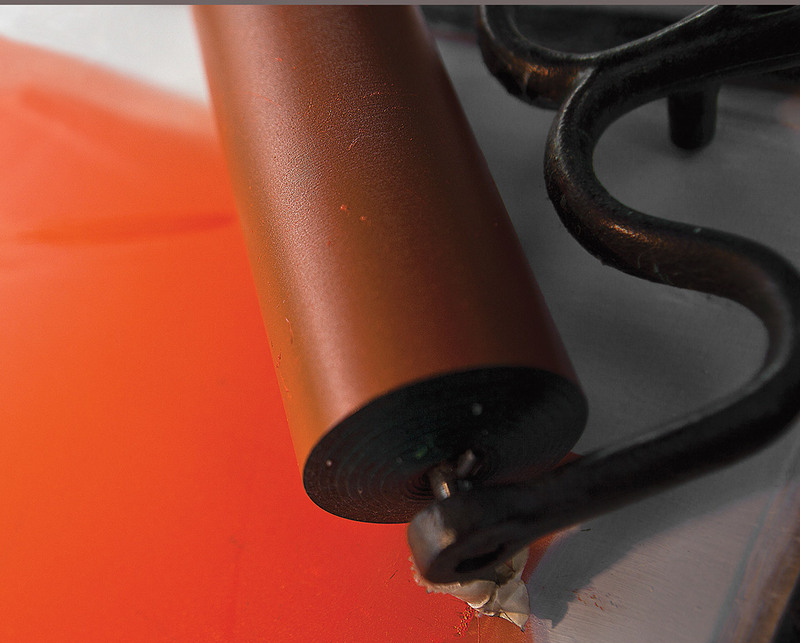 When multiple colours were introduced, workers in print shops would hand paint the individual colours. 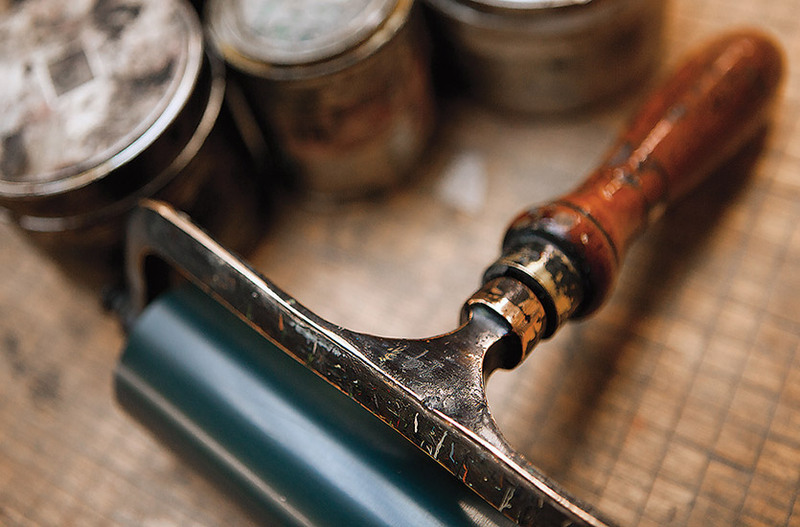 Printmaking today uses a wide range of techniques, many of which relate back to those originating in East Asia. Cherrywood is the most traditional wood for creating the Japanese woodblock. When selecting wood for the block, it is important to avoid pieces that have knots or are oddly shaped. 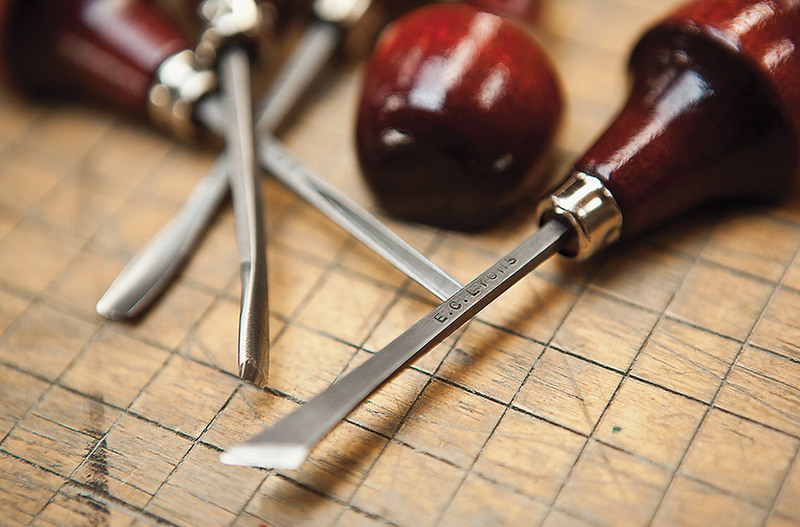 In order to carve a clean, precise design into the wood, certain tools are needed. These traditional Japanese tools include a hangi to, komasuki, aisuki, sankaku to, and tama to, each having a specific purpose. The hangi to is a knife used for carving the wood and creating the outlines of the design. The komasuki and sankaku to are used for small details. The aisuki and tama to—a circular carving knife—are used for fine lines and even smaller details. An image is carved into the surface of the wood, and then the surface is covered in ink. The paper is then placed on top of the woodblock, and pressure is applied with a printing press or a baren—a Japanese tool used in printmaking processes such as woodcut or linocut—revealing the mirror image from the block of wood. 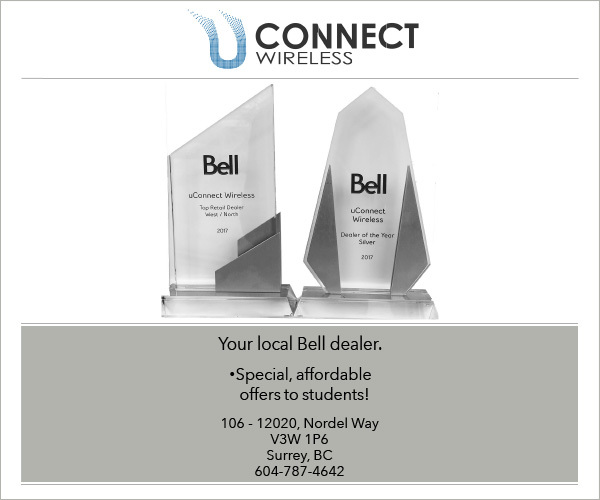 A marketing plan for BC’s wood products.